To begin our brand new 2019 Programme we once again have our very popular series of intimate concerts - Folk in the Barn 'Even Cosier' at The Black Robin in Kingston just outside of Canterbury. To kick off we are pleased to bring back - due to popular demand - the very entertaining - Hut People. 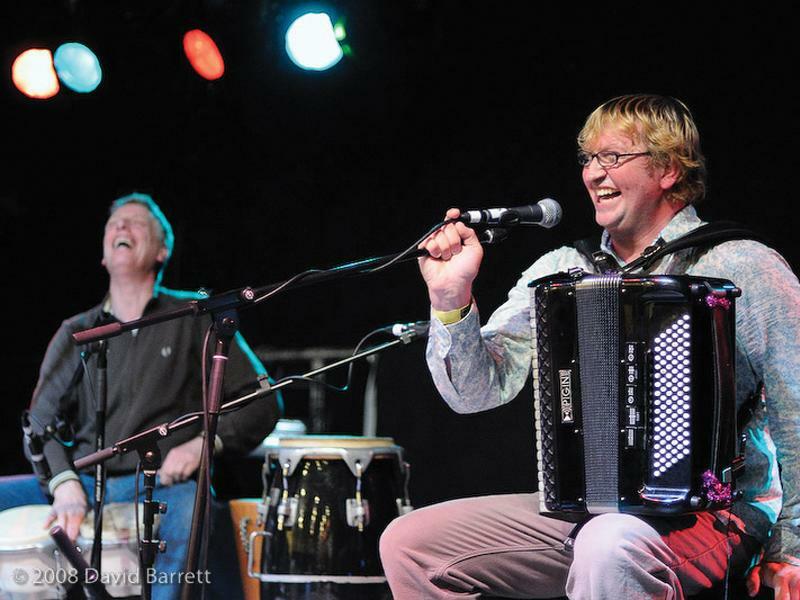 Taking the audience on a musical journey around the World, English instrumental duo The Hut People (Sam Pirt and Gary Hammond) have firmly established themselves as one of THE best loved, entertaining and best-loved acts on the UK folk scene today. First seen at Folk in the Barn in October 2017 when opening for The Young'uns. We immediately had requests to bring them back for a show in their own right, so here they are.